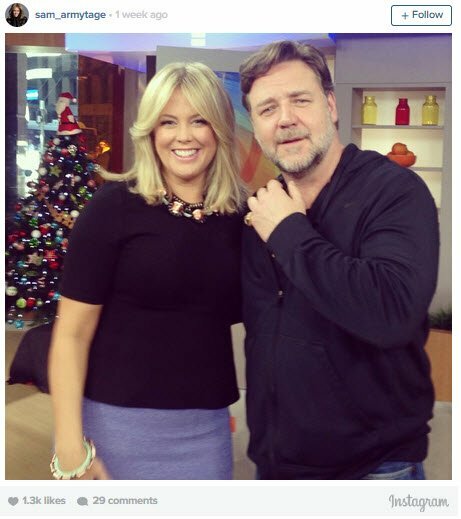 Is Samantha Armytage dating Russell Crowe? 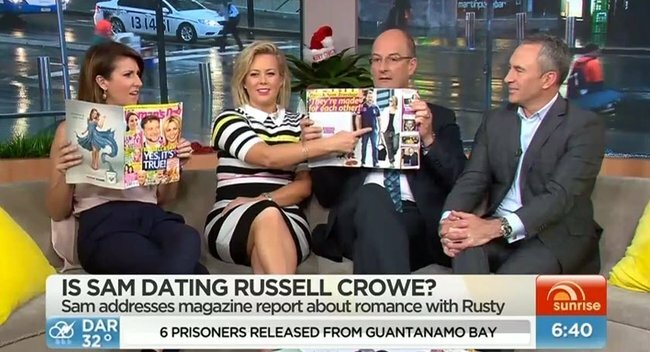 Woman’s Day has sparked a rumour that Sunrise host Samantha Armytage, 37, is dating actor and telephone thrower Russell Crowe, 50. Despite the excellent celebrity-couple names we could invent for this potential relationship, Sam claimed this morning on the show that it was a big, fat rumour. A photo from Sam’s Instagram after her most recent Russell interview. 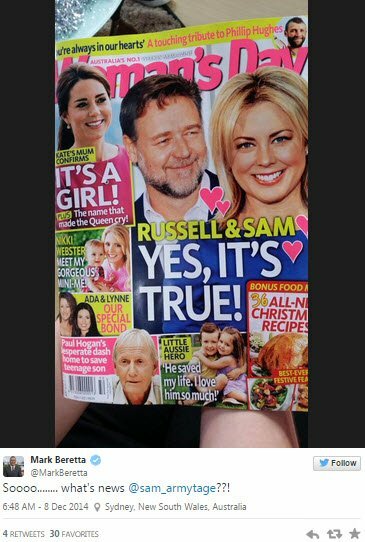 Making fun of the cover, Sam said “Look, there’s a love-heart coming out of my collar bone, it’s amazing.” Sam confirmed that the photos inside the magazine of her and Rusty together were photoshopped. “That’s actually me at LAX airport with you two”, she said to co-hosts Natalie Barr and Mark Baretta. Well, if they should meet again in a secret rendezvous, sounds like her co-stars would be on board. Watch Sam defend herself to her co-hosts. Unless you’re Russell Crowe, in which case, maybe don’t watch. If Russell doesn’t date Sam, we might. 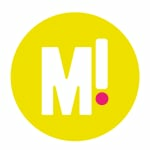 Sam Armytage is our very special guest on the Mamamia OutLoud podcast. Her exclusive interview will be available over the holidays. For updates, please like our Facebook page and subscribe on iTunes.